Interview: Non Evans, MBE & Superhuman! Non Evans, MBE is an unbelievable sportsperson. She has done so much in so many sports that it is tough to create an introduction fitting enough to do her justice. 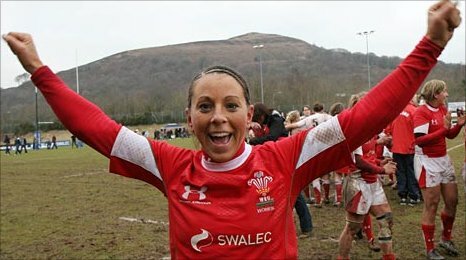 A Welsh international record holding rugby player, Commonwealth Games dual athlete, Contender on Gladiators, commentating and presenting sport on TV and radio, helping others get fit as a Personal Trainer and just generally inspiring anyone who runs, walks or jumps into her whirlwind of a world, she is a Role Model worth listening to! Happiness is Egg Shaped is delighted to have Non with us for an interview. You have had an unrivaled career in sport. There are some well-known athletes who have excelled in 2 different disciplines, 3 even… but to be an international in 5 different sports is UNHEARD OF! Can you give a summary of your sporting highlights? My first was probably appearing on Blue Peter and Going Live as an Acrobat, meeting Gordon the Gopher and Phillip Schofield as an 11-year-old was a big thrill! I competed on Gladiators in 1997 in front of 19 Million viewers which was pretty special! I won the World under 23 Power-lifting championships in the same year! I was Welsh and British Judo Champion for 9 years winning 2 Commonwealth Silver Medals! I competed in the Manchester Commonwealth Games in 2002 at Judo and Weightlifting, the first ever person to compete at the same Games in 2 different Sports! But then rugby took over my life. I won 87 Caps for Wales and scored a World 64 tries, a record in both the men’s and women’s game! 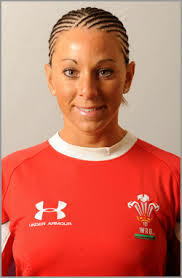 I was selected to play full back in the World XV, playing two tests against the Black Ferns, the female All Blacks, I was the only Welsh player selected! It is too difficult to select just one highlight! Sport has played a huge part in your life. You have always been involved in competitive sport. What skills has this helped you to develop? I could walk when I was 8 months old and could run at 11 months old…So I think I was born to do sport! I was born with the umbilical cord wrapped around my neck three times and my mother says I haven’t stopped moving since! But I trained harder than anyone I know, as well as working full time, so I believe you make your own luck through hard work. Of the sports you have played you have said rugby gave you the most. What makes rugby so special for you? Rugby was special because it was a team sport and I made so many friends and traveled the World playing 15s and 7s. I wish I was ten years younger as representing Team GB at the Rio Olympics looked amazing! But I have no regrets and feel I have achieved everything possible in my time in rugby. 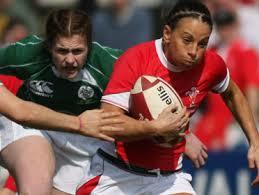 I was also the first female rugby player to be awarded an MBE, which was a great honour. 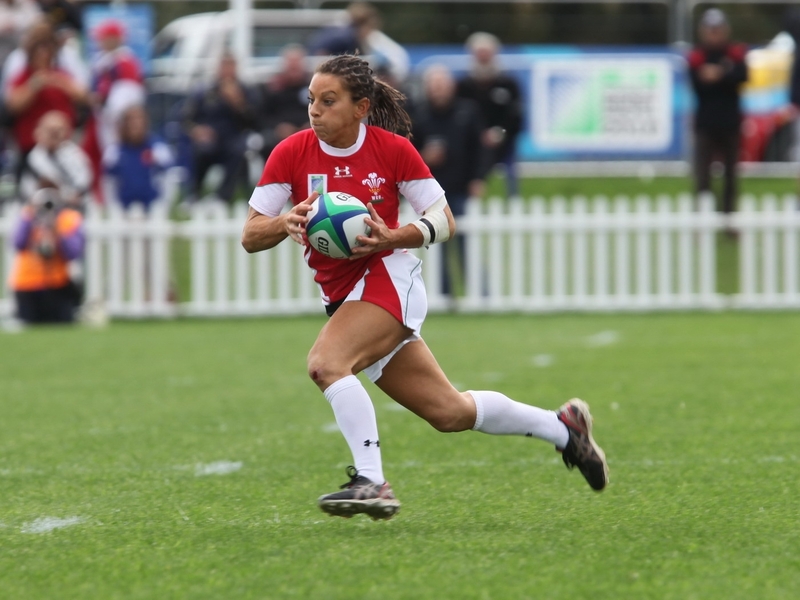 What were the challenges you experienced as a female rugby player and how did you deal with them? It was hard. I played for Clifton in Bristol for 9 seasons as it was the closest English Premier Club to Wales and the standard of rugby was much higher than in the Welsh leagues. I worked full time, trained on my own 3 times a day, drove twice a week to training and then traveled the country each weekend for matches against the likes of Saracens, Wasps and Richmond. A number of Welsh girls joined me which really helped the standard of the Welsh International side. It was hard work especially as we had to fund it all ourselves. But it was worth it. Playing tough matches week in week out really helped develop our skills and toughness and as a consequence improved the standard of the Welsh International team resulting in our first triple crown in 2008. I saved all my money to pay for matches and tournaments. I also saved all my holidays from work in order to compete. But it was worth it! You have had to deal with setbacks during your unbelievable career, what strategies have you used to overcome these challenges? Injuries were the worst. The loneliest times of my life. I broke my leg in pieces and it was nailed in a cage for 9 months. I was told I would never run again. But I came back through hard work, and Wales beat England for the first time ever by 16-15 and I kicked the winning penalty in injury time. That makes me very proud. I retired from rugby after the 2010 World Cup in England to focus on my Wrestling, and competed at the Delhi Commonwealth Games two weeks later. I became the first ever person to compete in three separate sports at the Commonwealth Games. I finished in 4th place after having to drop over a stone to fight! My aim was to compete at the London 2012 Olympics but unfortunately I snapped my hamstring off the bone at one of the qualifying events. So that was the end of that! But at least I was there! I commentated for the BBC on the wrestling and the weightlifting, it was an amazing experience. How has the women’s game change since you stopped playing? The Women’s game is going from strength to strength. There are now professional teams giving players the chance to focus entirely on their game. The 7s at the Olympics, as well as more TV and media coverage has really helped. Like I said I wish I was ten years younger! What do you think the future holds for the women’s game? If I was a man I would be worth millions, but things are changing for the better!!! Have you ever had a Fixed Mindset and not done something or given something another shot or given up altogether? NEVER! I would still be going now if my body could cope with it! The lowest time in my life was when I had to retire through age and injury! You are now involved in the fitness industry. What do you think are the keys messages for people to be fit and healthy? Britain in the most obese nation in Europe. The NHS spends more money on drugs for Type 2 Diabetes than any other drug. I run my business helping people lose weight and lead a healthier lifestyle. No one can do it but you. I try to help and support. Change your eating habits. Little and often. 5-6 small meals a day containing a complex carbohydrate and a protein. This stops the sugar cravings. Sugar is the worst food on the market! Exercising daily. Even if it’s just a walk for half an hour. Myself. I never had anyone push me, I had coaches, but it was intrinsic in me. I wanted to be the best I could be…and I still do. 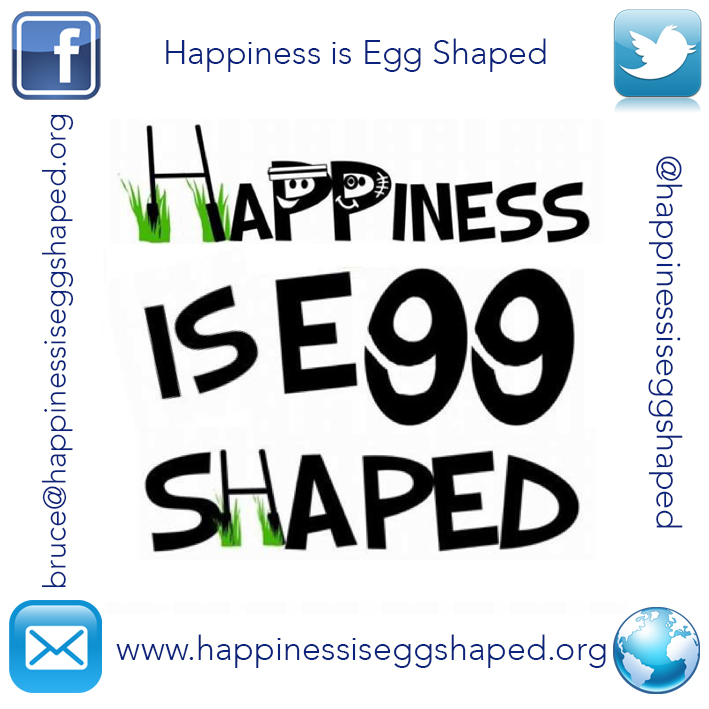 Happiness is Egg Shaped is very grateful to have Non Evans as a follower on Twitter. Non is a Role Model to many, she is making a positive impact on many people and will no doubt continue to make the world a better place with her determination, enthusiasm and willingness to keep improving.